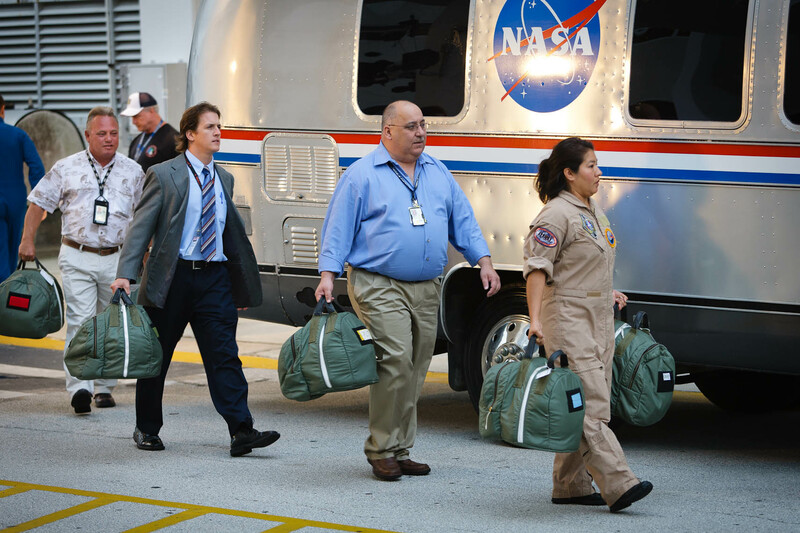 Just prior to the crew of Atlantis emerging from the Operations and Checkout Building, the astronaut's flight helmets are brought out to the Astrovan. This is one of the clues that the astronauts themselves are about to come out, creating a stir of anticipation from the throng of media that have been standing behind barricades for the better part of an hour in the predawn light. The fifth helmet is a "spare," carried by the woman at the head of the front of the group.